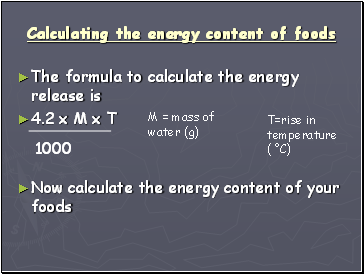 Did the food contain energy? 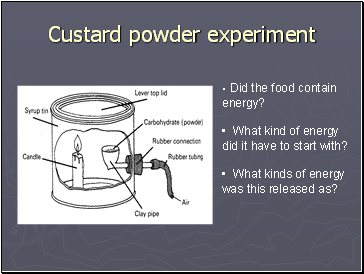 What kind of energy did it have to start with? 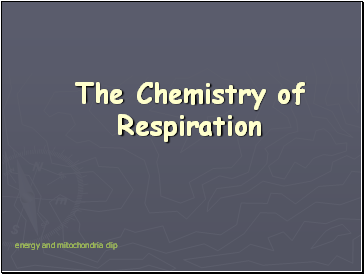 What kinds of energy was this released as? 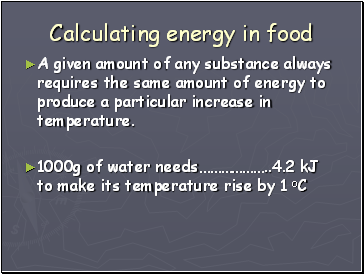 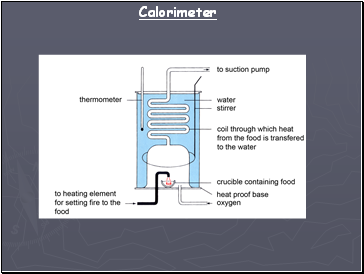 A given amount of any substance always requires the same amount of energy to produce a particular increase in temperature. 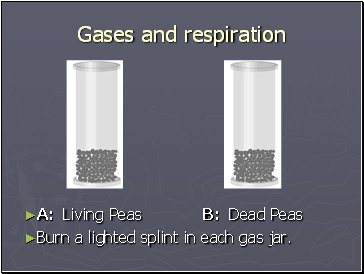 Burn a lighted splint in each gas jar. 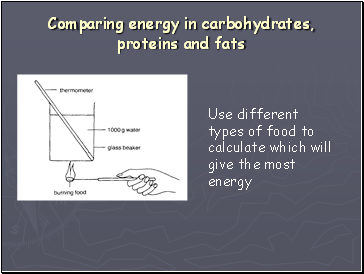 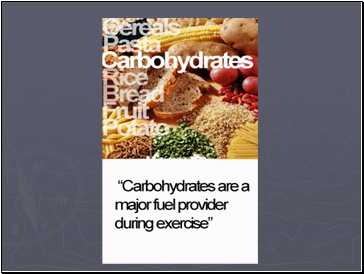 1 Which type of energy does food contain? 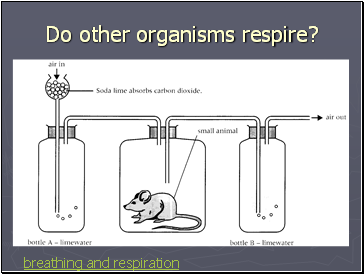 2 What is this energy converted to by other organisms? 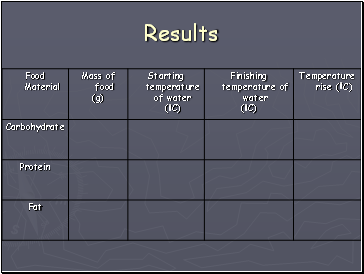 Give at least 3 examples. 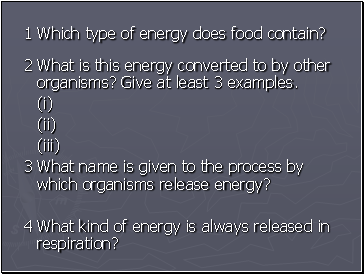 3 What name is given to the process by which organisms release energy? 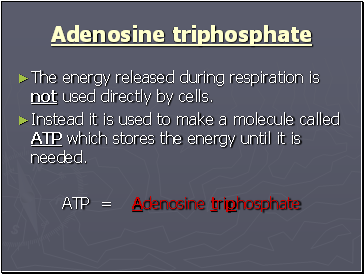 4 What kind of energy is always released in respiration? 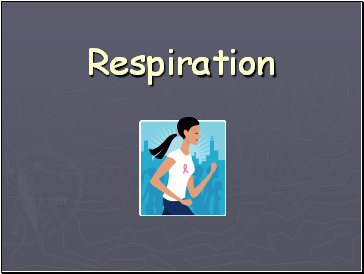 The energy released during respiration is not used directly by cells. 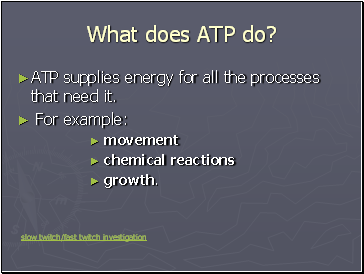 Instead it is used to make a molecule called ATP which stores the energy until it is needed.